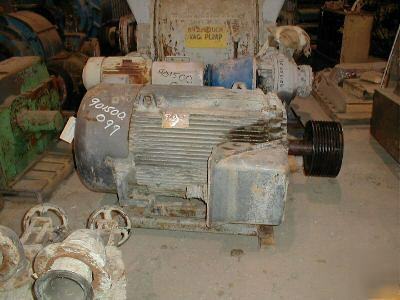 One (1) used 250HP Baldor 3/60/2300 volt, 1185 RPM TEFC motor. Frame 5009L. 141 amps. With (10) belt sheave. Serial number N124/0167-94122 102. Service factor 1.15. Continuous duty.